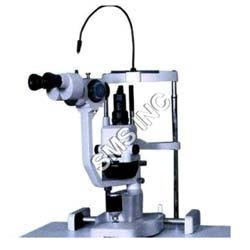 We are counted among the coveted firms that are engaged in offering a range of Ophthalmic Instruments. The range offered by us includes Capsular Tenion Ring, Keratometer, Phacoemuslification Systems, Lacrimal Intubation Set, Slit Lamp, Diagnostic Ophthalmic Strips, Retinal Silicone and many more products, under this category. Due to having features like optimum resistance to corrosion, superlative surface finishing and long functional life, our offered instruments are widely applauded by the patrons. These Ophthalmic Forceps-Surgical Instruments are known for their sleek designs, dimensional accuracy, and resistance against corrosion. 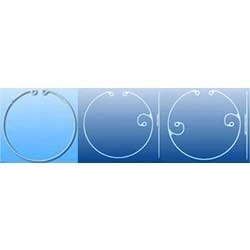 The range is carved using high quality raw material and is available in standard & customized sizes. 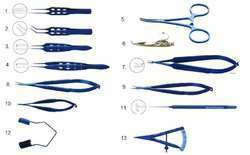 These Ophthalmic Forceps-Surgical Instruments are used for ophthalmic surgeries and several other applications for medical purposes. Owing to our sound experience, we have been successful in catering to the requirements of our esteemed clients by offering quality Lacrimal Intubation Sets. The products we offer are developed by a team of sincere experts employing technologically latest machines and tools as per international norms. All our products are widely used in variegated ophthalmic surgeries due to their appropriate weight, durability and fine finishing. 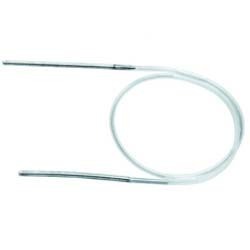 Available with us is a wide and quality approved range of Capsular Tension Ring. 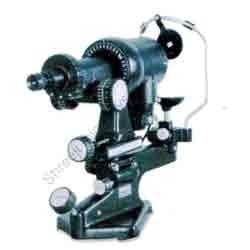 All our products are developed employing latest machines and tools in sync with the norms laid down by the industry. Due to lightweight, dimensional accuracy and durability, our offered products are widely used in varied eye operation. Moreover, clients can avail these rings from us in a variety of sizes, shapes and specifications, as per their needs. On offer from us is a wide and commendable gamut of Keratometers. All our products are widely used for measuring the curvature of the cornea for pre and post-surgical exams and contact lens fitting. The products offered by us are designed using advanced technology and material as per international norms. Due to having features like ease usage, durability and accurate readings, our offered keratometers are widely demanded by the patrons. Standard accessories: Dust cover and two spare bulbs. 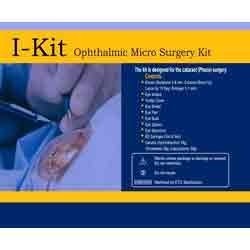 With the help of our experienced professionals, we are able to manufacture superior quality Ophthalmic Micro Surgery Kit (Ophthalmic Kit). 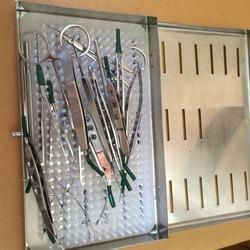 These Ophthalmic Micro Surgery Kit (Ophthalmic Kit) are huge demand in the market due to high quality and durability. These products are available at competitive rates.